He won his 15th major championship, and fifth Masters, and is now only behind Jack Nicklaus (who has six Masters jackets and 18 majors.) IIRC he is also now second all time in PGA wins although I need to review that stat, haven't heard much about it of late. Also way back when Tiger went through his struggles, specifically after his teeth got bashed in and his wife left him, I said on CF that he'd never win another major. And really there's no way he should have, but he did. Possibly the greatest sports comeback story ever. Today we saw history, it was truly amazing. This weekend definitely had that feel. Good for him. The PGA needed that for sure. The story was that he wrecked his SUV pulling out of his driveway in reverse after having a spat with his wife when she found out he was screwing around on her. But the theory is that she took a 9-iron to his face. We know she smashed a couple of his car's windows out with a golf club. It was an incredible day of golf. History was made today. watching the replay on CBS now. was at a pistol match this AM. came in 5th of 22. Location: Somewhere between mild insanity and complete psychosis. I enjoyed watching it this afternoon. I remember as a teenager watching him win his 1st. Still lived with my parents, and our old wooden console TV from the 80s was in my bedroom and I watched it on that. Glad to see him win even though I am not a big fan of golf. When Tiger does well, the entire golf "business" does well. Glad to see he still has it. The best part of him winning........ I get to pick on Billy at work. His latest back surgeon should get half of the purse. Just a phenomenal health recovery. Looks like this person gets a congrats also!! Bet 80K that Tiger would win. I remember reading about this bet a few days ago. Never played or cared about "cow pasture pool"
The "Adult Easter Egg Hunt". He passed in Sept of 91 and that was the last time I played. Notah Begay was saying on ESPN Radio this morning that at one point Tiger had to be physically carried around because he couldn't even stand up. It is incredible how his body has recovered. 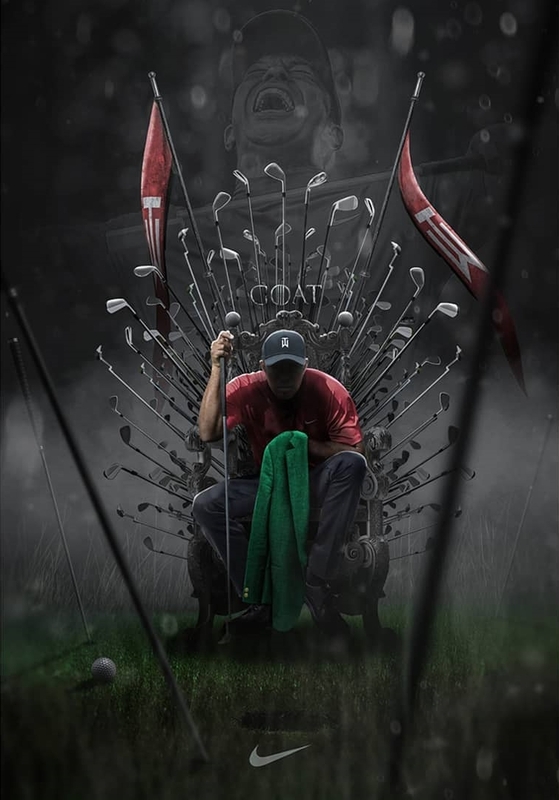 Pretty awesome Game of Thrones take on his victory. 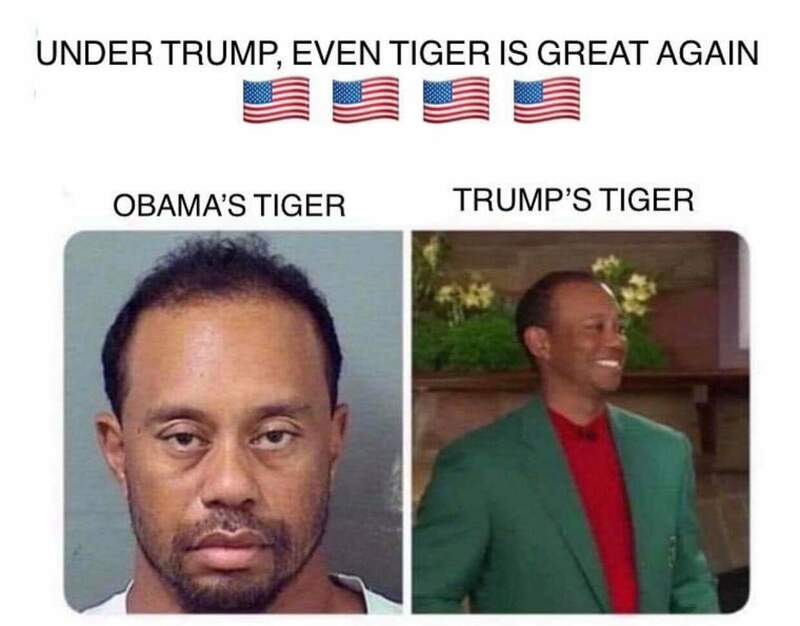 Mike - this “before & after” Tiger picture is awesome - been chuckling outloud for since opening it 5 minutes ago. Thanks for sharing it!